Katherine Williams was born in Honolulu, Hawaii and began her early training with the Hawaii State Ballet. After moving to Maryland with her family, she studied at the Ballet Royale Academy under the direction of Donna Pidel. She was awarded the Youth Grand Prix at the 2003 Finals of the Youth America Grand Prix in New York, and was a Top 12 Finalist at the 2005 Finals. In 2003, she was awarded a full scholarship to the Boston Ballet Summer Dance program. 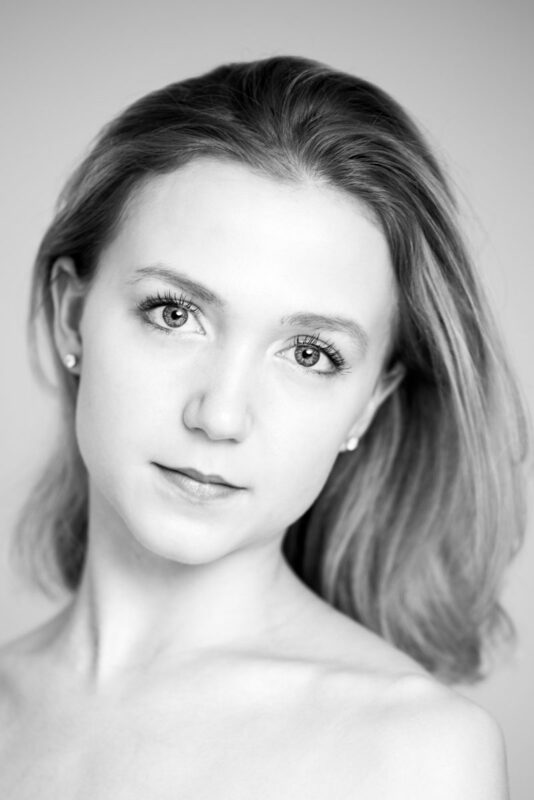 From 2004 to 2006, she attended American Ballet Theatre’s Summer Intensives as a National Training Scholar and, in 2006; she also attended the Stiefel and Stars Summer Program. Williams joined the Jacqueline Kennedy Onassis School at ABT in the Fall of 2005 and remained there until joining ABT’s Studio Company in January 2007. Williams joined American Ballet Theatre as an apprentice in December 2007 and the corps de ballet in June 2008. She was promoted to Soloist in September 2018. Her repertoire with the Company includes a Shade in La Bayadère, an Odalisque in Le Corsaire, the Dryad Queen and a Flower Girl in Don Quixote, Myrta, the peasant pas de deux and Moyna in Giselle, the Spanish Dance and one of The Nutcracker’s Sisters in Alexei Ratmansky’s The Nutcracker, the Fairy Violente (Temperment), Gold Fairy and Cinderella in Ratmansky’s The Sleeping Beauty, Fairy of Sincerity in The Sleeping Beauty, the pas de trois, a big swan and the Italian Princess in Swan Lake and roles in Airs, Company B, Continuo, Her Notes, In the Upper Room and Jardin aux Lilas. She created roles AfterEffect, Everything Doesn’t Happen at Once and Songs of Bukovina. Ms. Williams's performances at American Ballet Theatre are sponsored by Avery and Andy Barth, in memory of Laima Barth.